Everyone who works their magic in any of our production sites, distribution centres or behind the wheel of one of our trucks is part of our Supply Chain Team. As you’d imagine, there’s a lot going on. "I enjoy being part of a busy, hard-working team"
Greggs is a much loved and trusted brand with a strong bakery heritage. 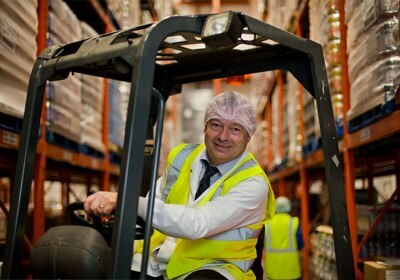 Our production sites and distribution centres have great teams of people working together to create and supply great tasting food. Our Production Operatives all work different shifts and are part of a close-knit team who play an important part in making and packing some of the nation’s much loved products. Everyone has a passion for quality and follows all the correct processes and procedures to ensure the best products are made and our customers leave having a brilliant experience! Our Supply sites are busy places so our Supervisors are an essential ingredient in the smooth day-to-day running of them. On hand to give direction to Team Leaders and working closely with Managers they ensure results are delivered and success is achieved. Just like the rest of their close-knit teams, Bakery Team Leaders join a 24 hour, seven days a week shift operation. The difference is they lead a small section – and are there to focus on targets and results as well as producing great food. They get stuck in working with their team – mixing ingredients, baking food and slicing and packaging. And they also have a keen eye on everyone's ability to follow food hygiene and quality procedures, not to mention health and safety guidelines. Our Engineers are masters at their trade, working as part of a team they split their time between stopping problems before they happen with meticulous maintenance, and reacting to breakdowns quickly and effectively. Positive and enthusiastic, they engage with the site teams, monitor plant performance and improve our processes, all in line with our policies and procedures. 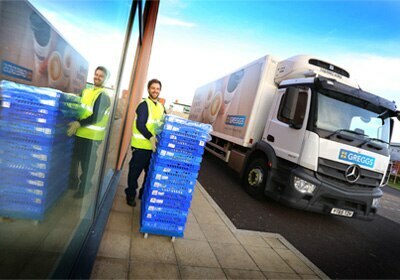 Ask any of our LGV Drivers about their role and they will tell you it isn't just about deliveries, they play a vital part in ensuring our shops are fully stocked and able to meet customer demand by carrying out multi drop deliveries of chilled, frozen and ambient goods to our shops on a daily basis including bank holidays and weekends. They drive one of our modern fleet of refrigerated LGVs, fitted with the latest technology and safety features such as Telematics and vehicle cameras.